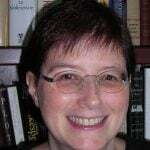 In Part 1, I explained why John Dickinson, the “Penman of the Revolution,” became a Forgotten Founder. In Parts 2 and 3, I’ll show you some of Dickinson’s most important writings. The American Revolution began in 1765 with colonial opposition to the Stamp Act, and Dickinson was one of its leaders. After Britain’s costly 1763 victory over France in the Seven Years’ War, Parliament wanted the colonies to help pay for their own defense. 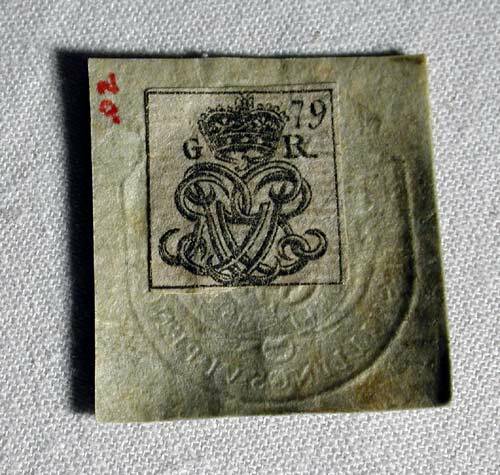 The Stamp Act levied a tax, represented by a stamp, on every piece of printed paper, including newspapers, pamphlets, and legal documents. It was Parliament’s first direct tax on the American colonies without the approval of colonial legislatures. Even before it went into effect it provoked widespread outrage, expressed in town meetings and protests, pamphlets and newspaper essays, riots and boycotts. The Stamp Act Congress, the first successful collective action ever taken by the colonists, met in October 1765. Dickinson, a Pennsylvania delegate, was the principal author of the Congress’ two important documents—the Petition to the King, and the Declaration of Rights and Grievances. 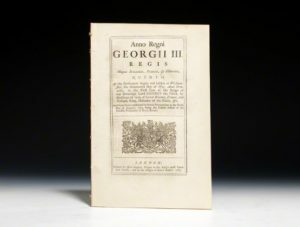 In December 1765, Dickinson published an attack on the Stamp Act, The Late Regulations, Respecting the British Colonies on the Continent of America Considered, as a pamphlet in Philadelphia. 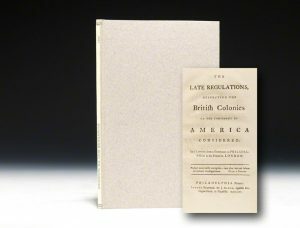 Benjamin Franklin quickly arranged for it to be printed in London to inform the British public about the controversy. Dickinson… became the first American to broadcast widely this technique of resistance and the first leader of a national peaceful protest movement in history. He would be followed by such notables as Gandhi and Martin Luther King, Jr. At this early stage in the resistance to Britain, the colonists were receptive to his message and practiced what he advocated. After the repeal of the Stamp Act, Parliament found new ways to raise revenue and tightened political, economic, and military control. The 1767 Townshend Acts taxed glass, lead, paint, paper, and tea; established a Customs Board to enforce laws without trial by jury; and suspended the New York Assembly for refusing to comply with the Quartering Acts. Dickinson’s Letters were first printed in Philadelphia newspapers but became so popular that they were reprinted in nearly every newspaper in the colonies. 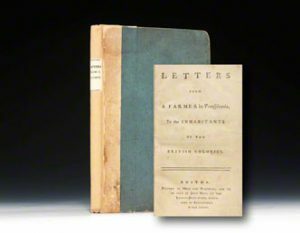 The collected Letters were published in pamphlet form in Philadelphia in March 1768, followed by a Boston edition in April, and other printings in America, London, and Paris. Immediately, everyone took Dickinson’s argument into account: Americans in assemblies, town meetings, and mass meetings adopted resolutions of thanks; British ministers wrung their hands; all the British press commented, and a portion of it applauded; Irish malcontents read avidly; even the dilettantes of the Paris salons discussed the Pennsylvania Farmer. But the consequences were a good deal more important than just that… [It] forced everyone on both sides to face and give a firm answer to a forbidden question: what is the nature and distribution of power in the imperial system?